← Swifty’s Jazz Village… New prints! Yesterday I was chatting to a couple of friends – one of whom was from Senegal – about reggae music in London. 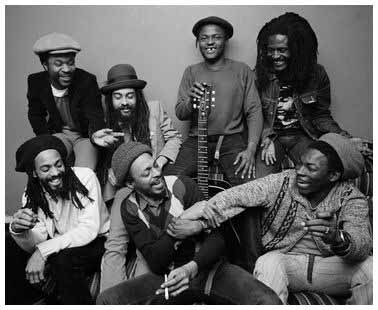 Along with talking about the the evolution of the UK sound – roots & Lovers -we also got onto speculating as to why London is no longer the second capital of reggae after Kingston JA. The post 80’s generations of inner city Black British youth have created their own groundbreaking genres of music. Soul II Soul gave us “a happy face, a thumpin’ bass, for a lovin’ race”. The Junglists went worldwide creating Drum ‘n’ Bass and the 2-step/garage crews went dark creating Grime. Right now were in the midst a “post dubstep” meltdown and it would be safe to say that all this music has a strand of reggae in its DNA. Despite the overwhelming impact of the digital revolution on the whole industry and the advent of Ableton Live for DJs vinyl is still in the m. Those who religiously frequent actual record emporiums must, I believe, feel that they are necessarily tapping into the source… into a tradition of buying tunes… and there’s a skill to that! With that in mind I thought I’d reprint a slightly longer version of a piece I wrote for the final issue of Jez Smadja’s excellent Shook magazine. 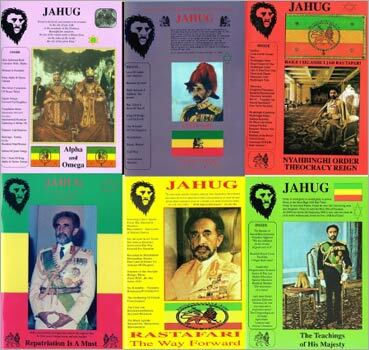 It’s a personal reflection on my own initiation into the world reggae music and the knowledge and etiquette employed in the purchasing of those magical pre-release singles that came in from Jamaica every week. IT WAS AROUND 1972-3, while at art college in the leafy, conservative backwater of Cheltenham, that I got bitten by the reggae bug. 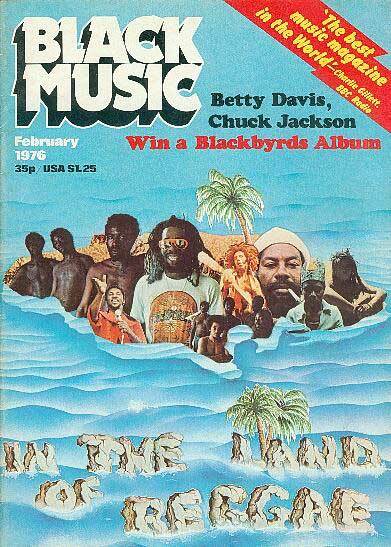 The early Seventies was responsible for a wave of astonishing soul and jazz albums from Marvin Gaye, Curtis Mayfield, Donny Hathaway, Stevie Wonder, Parliament, Miles Davis, Charles Mingus, Pharoah Sanders and Alice Coltrane and despite their considerable impact on my musical outlook reggae became something of an obsession. 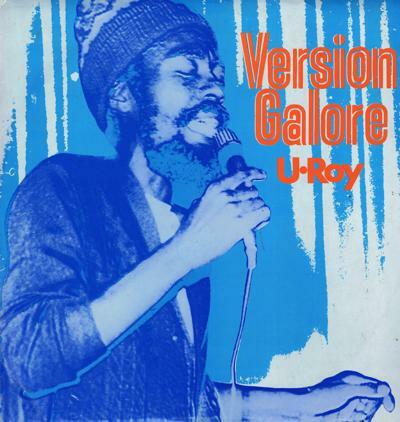 Based on the ground breaking writings of Carl Gayle/Jah Ugliman in Black Music magazine I headed off to the Gloucester, the nearest city with a Jamaican community, in search of the ‘Version Galore’ albums, which united the lyrical talents of “toasters” like U Roy, I Roy, Big Youth and Dennis Alcapone, and the mindblowing ‘This Is Augustus Pablo’. In a humble reggae emporium in Barton Street I found what I was looking for but as I gazed upon the selection available I realized I was totally out of my depth. It was also in Gloucester that I first encountered Sound System. 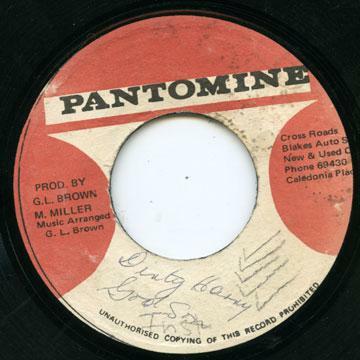 A visit to a blues dance run by a local sound man called Skinny and an encounter with the mighty Sir Coxsone at the Jamaican Club in Gloucester ensured a point of no return. The impact of hearing the music on “Sound” took on a metaphysical dimension. 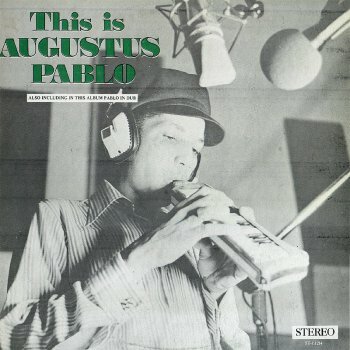 The mysterious, apocalyptic vision of Jamaica’s sufferers – the Mystic Revelation Of Rastafari, The Wailers, Big Youth, Yabby You, Gladiators, King Tubby, Gregory Isaacs, Augustus Pablo – was what began to dominate my own hi-fi. Words, Sound and Power. I graduated to the metropolis in the autumn of ’74 and settled in E8, between Mare Street and Dalston Junction. I had arrived in reggae music heaven and driven by this mighty music I’d regularly roam the High Road from the Junction to Seven Sisters in search of new acquisitions and mythological elusive, near masterpieces like ‘Blackboard Jungle Dub’. I would begin my journey in Dalston Lane at Java. A stones throw away from the legendary Four Aces night club. 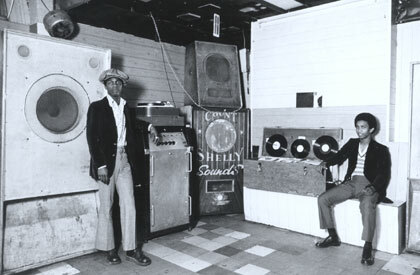 Freshly opened, this most alluring little “record shack” was run by drummer Jah Bunny, bassist Floyd Lawson and a most stylish and knowledgeable youth called Lenny. The style and pattern of the day was most enticing – the unbuckled woven ites gold and green belt and the Gabichi were vital, as was that rakishly offset Baker’s boy – and the attempts of this grey boy to look relaxed and “down” in this 100% black environment earned me the risible moniker of “screwface”. 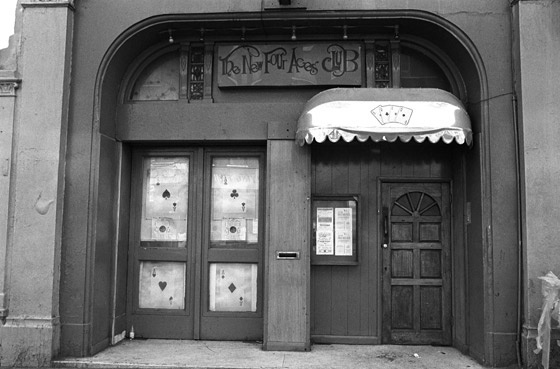 The Legendary 4 Aces: The first London Club I went to... "Are you sure you want to come in here/"
That said, Java and its successor, M&D Records, which was run by Lee Hall – a selectah and salesman par excellence – became my second home. It was there that I gained a serious education into this music and learned to peel an orange with a ratchet knife. Initially, I was out to buy what I’d read about. Up to that point I’d failed to grasp that reggae was essentially a singles market. I hadn’t a clue what a “Pre” was – I’d simply heard that some shops kept a selection of exclusives under the counter for their regulars. So, the mission was usually specific and mostly album orientated and that would sometimes take me beyond Java to other local shops which had their own imprint or reputed speciality. Music City in Ridley Road market was always an enticing prospect on a Saturday. If I recall, the shop had direct links to the prolific Trojan Records. 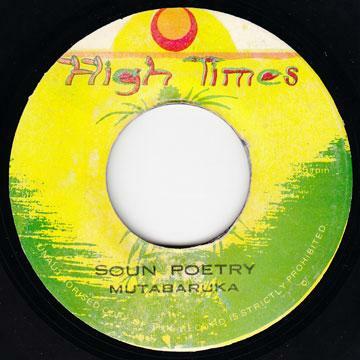 It was the covers of brilliant albums like Dennis Brown’s ‘Just Dennis’, Big Youth’s ‘Screaming Target’ or Ras Michael’s ‘Nyabinghi’ that hung in the shop window and the speakers outside the shop projected a little burst of Al Brown doing Al Green or Ken Boothe previewing what was to become a Chart topper or a touch of “skenga” – a scattering of ‘Irie Feeling’ from Rupie Edward’s Cactus label.. The sounds of young Jamaica rose above the vibrant hustle and bustle of black and white working class shoppers and the cockney mantras of the various vendors. Still from a short film 'Ridley Road' by Adam Ryzman shown at the Rio Cinema's east End True Life Stories. 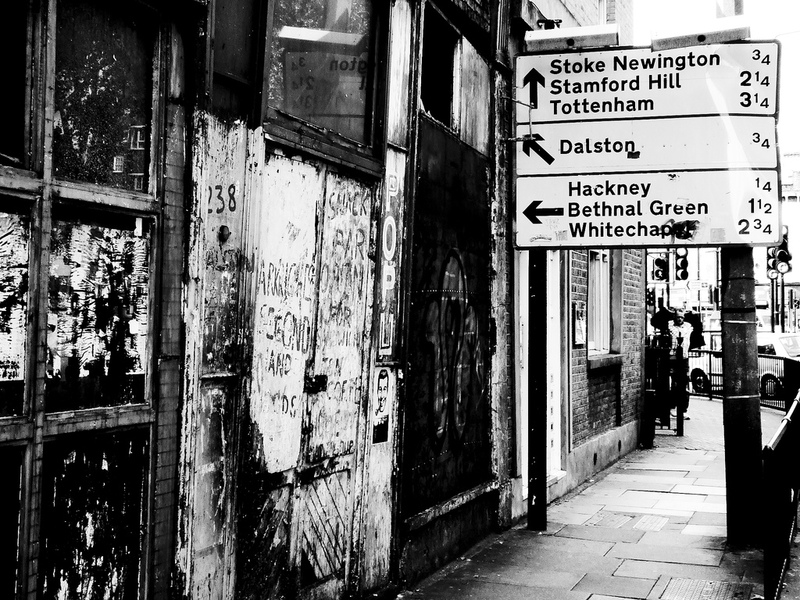 Sadly, during the Seventies, this grainy, positively harmonious black and white image of east London was consistently tainted by a racist undercurrent based on the popularity of the National Front – the forerunner of the BNP. Having partaken of a pattie or a begel one would trod from Ridley Road further up the High Road. In the region of Arcola Street, one might be tempted to deviate slightly from the mission and check a mom and pop record store owned by some local white folks who stocked the Top 20 hits of the day along with a positively arresting selection of Nigerian ju ju from the likes of Sir Shina Adewale and King Sunny Ade. However, to get back on track we cross the High Road and head for the shop of Ephraim Barret aka Count Shelley – a pioneering and most popular local sound system operator who, in early 70s, was the resident DJ at the fabled Four Aces. Of course, his reputation as a sound man and selector ensured he was always in possession of the latest singles from JA and was constantly plied with acetates of tunes well in advance of their release. Shelley knew what rocked the dancefloor and accordingly his shop boasted an array of compilation albums and excellent 7” releases on his own Count Shelly label. 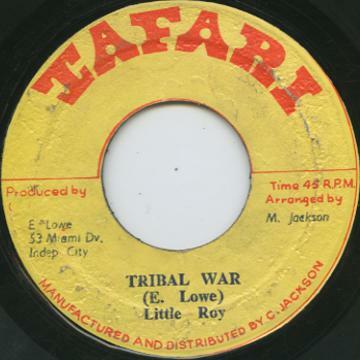 Along with UK based artists like Honey Boy, Gene Rondo, Roy Shirley and Laurel Aitken he released music from the JA stars of the day – Delroy Wilson, I Roy, Dillinger, Alton Ellis, Prince Jazbo, Errol Dunkle. Confirming Count Shelley’s vision it he who first released Topper Zukie’s majestic ‘Man A Warrior’ – an album that became the stuff of legend due to the writings of Penny Reel, a youth man of Stamford Hill origin who also roamed that same High Road. Moving on from Shelley’s one had to resist stopping of at the Astra Cinema which is now the Aziziye mosque. 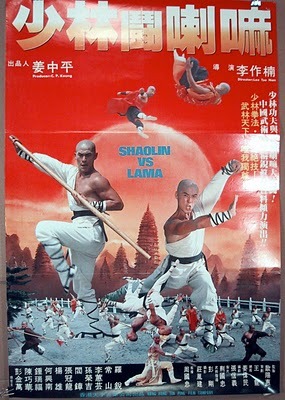 Back then it specialized in uncensored martial arts movies… Shaolin vs Lama, Iron Monkey, 36th Chamber Of Shaolin… and an afternoon session there would be empty apart from myself and the odd posse black youth. 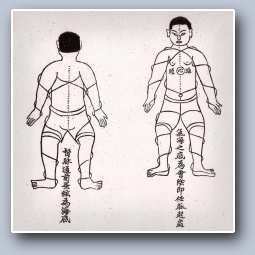 Most likely the same youth who took the moves of snake, monkey and preying mantis kung fu onto the dance floor of Jah Shaka’s sessions at Club Noreik. The next stop on Stoke Newington High Street is shop I associate with Pepe Judah from the 12 Tribes of Israel organization. However, this shop was actually home to one Leonard Chin and his Santic label. He arrived in London from Jamaica around the same time as I did and set about releasing the music he’d recorded with Gregory Isaacs, Augustus Pablo… this was deep stuff. 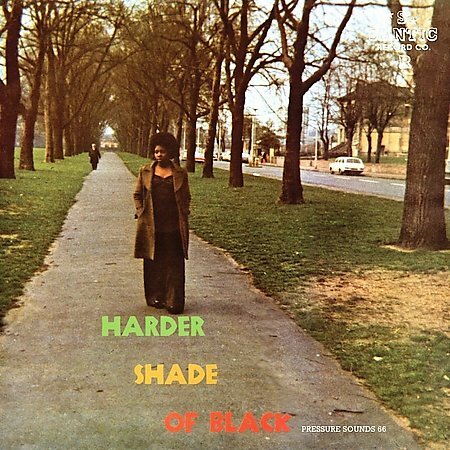 The compilation, ‘Harder Shade Of Black’ featured a cover shot taken on Hackney Downs while the vinyl delivered a brace of tracks that included ‘Pablo In Dub’, ‘Horace Andy’s ‘Problems’ and Gregory’s ‘I’ll be Around’. Fortunately for today’s roots generation this classic album of vintage deejay, dub, instrumental and vocal cuts is still available – with a few extra cuts – from Peter Holdworth’s discerning, hi-quality Pressure Sounds set up. Leonard Chin’s JA roots credentials are impeccable but he was also quick to respond to the rise of UK lovers. Santic enlisted a new wave of up and coming local singers like Carrol Thompson, Jean Adebambo and Trevor Walters. While I was standing tall in a darkened hall (respek to Mikey Dread! ), head was up in a cloud of herb smoke, solo steppin’ in a dark corner to the “Roots”, a new generation of London born, Afro Caribbean girls voted with their feet and opted for the lovers rock selections of Sir George, a long standing sound system which hailed from Clapton and had a popular residency at Cubies in Dalston Junction. Cover shot on Hackney Downs! Strictly UK Lovers Rock : North London stylee! It was Anthony Brightly, the former keys player with the ground breaking, Stoke Newington based band Black Slate, who ensured Sir George’s rep. He’d become the controller of his dad’s sound and as a musician he, like Santic, recorded homegrown, Black British “Lovers” to play on the sound and release via his Pure Silk imprint. Lovers Rock arrived and where the girls went the boys followed. From Stokie it was most tempting to hop on a double decker to Stamford Hill and touch down at the most excellent R&B Records. While London’s Orthodox Jewish males strutted their stuff and did their runnings in their white stockings, black silk coats and extravagant fur hats and beaver Stetsons, a more modest Jewish couple Benny and Rita King plied the post Windrush generation with some serious music. 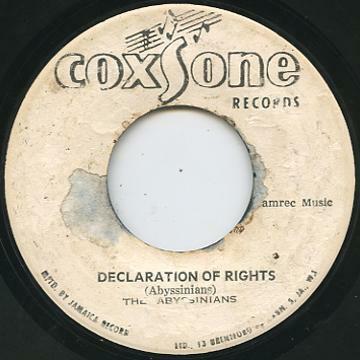 Amazingly R&B Records opened back in 1953 and following constant requests for Jamaican”blues” records they contacted legendary sound man and producer ‘Coxson’ Dodd in order to buy the music directly from Jamaica. 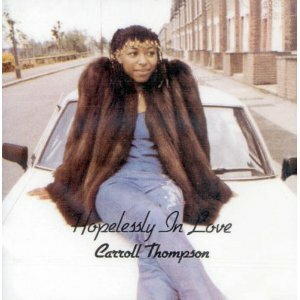 The early Sixties saw them launch their own R&B and Ska Beat labels, satisfying the tastes of the Jamaican community along with the style obsessed Mods who’d discovered the music in clubs like Count Suckle’s Roaring Twenties in Carnaby St. However, by the early Seventies Benny and Rita had given up the labels and were distributing pre-releases from JA to thriving shops around Britain like Black Wax and Don Christie in Birmingham. My fondest memory of Rita and Benny’ was asking Rita – who was like your gran – if they’d got Burning Spear’s ‘Marcus Garvey’ LP. 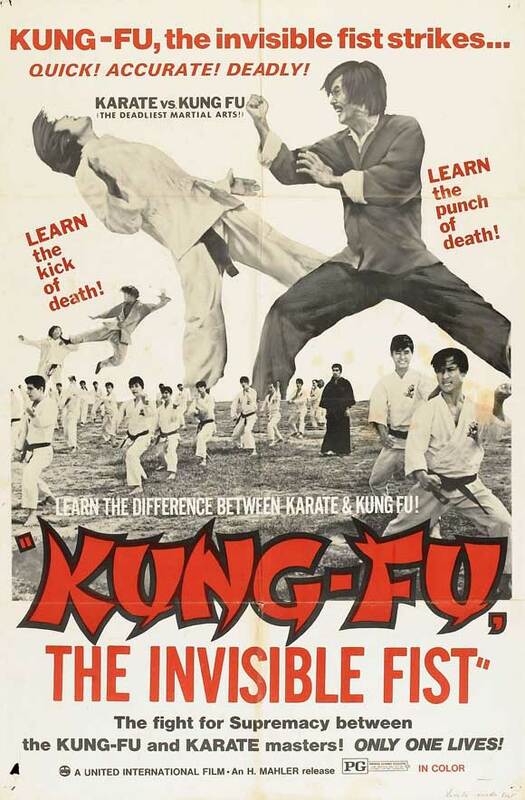 It had just been released in JA on Jack Ruby’s Fox label and the buzz was massive. Lenny at Java had a copy and it was most definitely not for sale – they were awaiting a next shipment. I couldn’t wait so here I was at R&B Records. Rita said, “Burning Spear? Marcus Garvey? No! Do you have this?” And put an album on the turntable. It was of those record buying moments, an experience that I can only compare to hearing Coxson Dodd’s mother spinning the Gladiators ‘Root’s Natty’ in the Brentford Rd shop in JA. There’s a feeling… it goes through the whole body to the crown of the head… maybe it’s something in that voice… something ethereal. Spear could do that. He did it in the Rainbow in Finsbury Park at his first London concert. He walked onstage and as his voice gathered power to the sound of ‘Fr-r-e-e-d-o-o-o-o-o-o-m…. ” the whole of the theatre stood up in unison… one time! Deep! And so, back to R&B Records… without even knowing it I’d paid, thanked Rita gracefully and stepped out into the street in a quietly euphoric daze. It was rare that I would progress beyond Seven Sisters and onto Tottenham High Road. This is an area I associate with Jah Bones and RUZ (Rasta Universal Zion), Club Noreik where Jah Shaka was resident and, of course, the legendary Fat Man Hi Fi. However, the release in 1974 of an extraordinary album by Keith Hudson called ‘Flesh Of My Flesh’ had me scouring the High Road in search Atra Records. I’d heard the opening cut of ‘Hunting’ with it Rasta drums, stinging electric guitar and supersonic atmospheric mix and was on a mission. 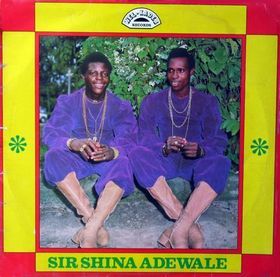 There was a definite mystique surrounding the album and as it was marketed like a pre-release you had to track it down before it potentially vanished. Upon locating the shop I was overjoyed to sight a copy of the said LP. 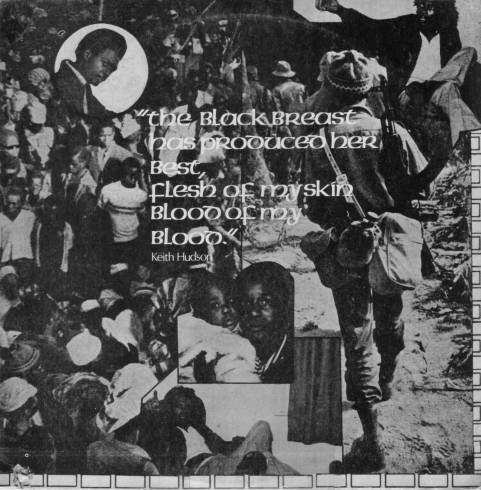 From the sleeve design to its lyrics, ‘Flesh Of My Skin Blood Of My Blood’ was an intentionally conscious venture. This was not a collection of singles. This was Hudson as producer, songwriter and vocalist – he had a concept and that was totally radical. Only later did I discover that, upon landing in London in ’74, Hudson signed up with Brent Clarke’s Atra label and that this album – now, unequivocally rated as a classic! – came to life at the Chalk Farm Studios in Camden where he set about reworking and overdubbing his JA rhythm tracks using local players. 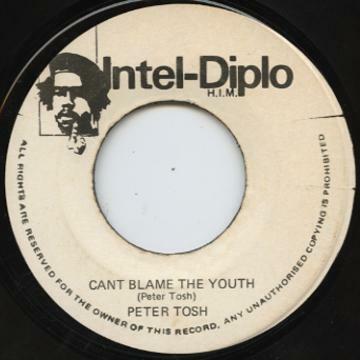 Ironically, ‘Flesh Of My Flesh’ was never released in JA – maybe it was too radical. 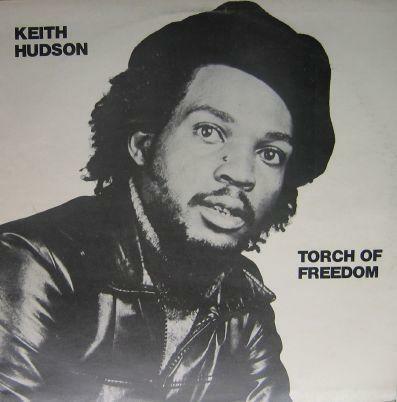 Keith Hudson’s vocals may well be an acquired taste but I headed back to Atra to purchase both his made to measure and monumental dub LP, ‘Pick A Dub’, and the follow up to ‘Flesh Of My Skin… ’ – ‘Torch Of Freedom’ with Hudson sporting the beret and looking militant. Over time my buying skills became more refined. There was the occasional trek to Battersea, to Clapham Junction where, every Saturday, the Dub Vendor – John MacGilivray and Chris Lane – had a stall in the open air market. Dub Vendor maintained an excellent mail order list and the market stall attracted buyers like a pre-radio David Rodigan who’d make the journey from Oxford. What Dub Vendor represented was quality control. 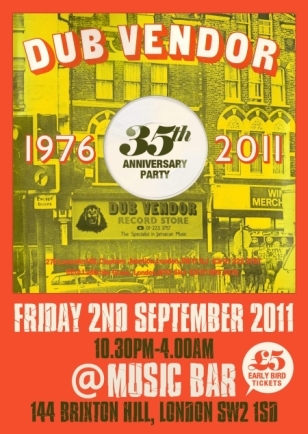 Oct 2011: Dub Vendor RIP - End of an Era. Back in Dalston, when Lee took over Java and it renamed it M&D Records my wanderings diminished. Whenever passing, I was sucked into the shop. I’d help out with mail order, idle away the hours, sipping on bottle of Guiness and listening to music new and old. As I said earlier Lee was a controller and skilled selectah. The man had a nice little pre-amp, a couple of superb Tannoy speakers and some discreet, uncased tweeters tucked way in the corners of the shop which gave that little extra lick of tops. Word would go out when a shipment of pre’s was to reach and the shop would be packed. You had to stand firm and hold a place where Lee could clearly see you signal that the tune was to be added to your pile. Hesitate, and all you’d hear was the words, “It done!”. He would work the buyers, sound men and punters, dreads and baldheads, geezers who knew their music, had refined tastes and quickly recognized an intro from a tune dropped in the dance, and when all that new music had been reduced to no more takers he would start on the revives, the Studio One – the head corner stone. Lee was the master and at those sessions he would ensure that whatever money you had in your pocket would be seriously dented. 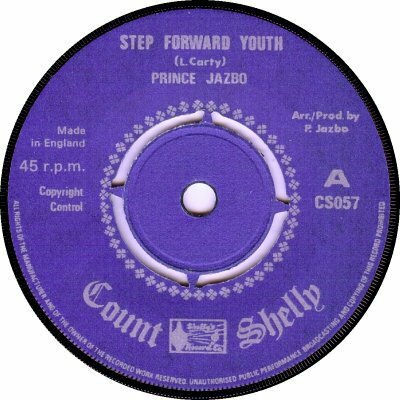 That was how it was and you’d step into the night with a righteous bowling walk, clutching a brown paper bag full of deep ridim on the most enticing labels… Clinch Records, Music God, Prophets, Black Solidarity, Youth Promotion, Marlion’s Victorius Steppers, Black Ark, Tuff Gong, Heavy Duty, Disco Mix, Crazy Joe, African Museum, Yard Music, Intel Diplo, Soul Syndicate, Solomonic, High Times, Jah Guidance…. Big respect to Carl Gayle. He blazed a trail. Here’s few covers of the magazine he did upon returning to Jamhmekya! And , finally, Tapper Zukies ‘Message To Pork Eaters’… original lo-fi artwork!! Love the labals! 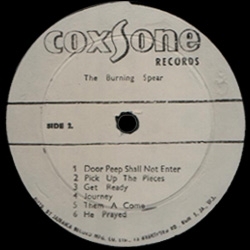 This entry was posted in Urban runnings..., Words, Sound & Power and tagged 4 Aces, 7" singles, Burning Spear, Count Shelley, Dalston, Dub Vendor, Keith Hudson, lovers rock, M&D, Pre Release, R&B Records, Reggae, Ridley Road Market, Santic, Tapper Zukie, Trojan. Bookmark the permalink. 52 Responses to The Art of Buying Reggae Music: A back in the day journey from Dalston Junction to Tottenham High Road. Great Blog Paul – took me back to days of finishing morning paper round in Oxford then jumping train to London and searching out latest reggae tunes in independents. Well done really enjoyed the read. Nice… lovely to get a bit of feed back… Oxford to town … where were your faves? 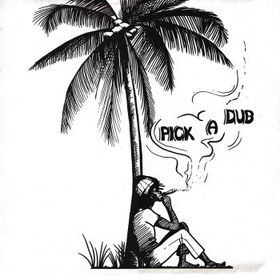 Dub Vendor closing down… that is the end of an era! Back then it was a serious buzz tracking down elusive tunes or discovering incredible new artists… the originality was mind blowing. I had a couple of mates round yesterday and they needed some tunes on download to play at Black History Month event they are doing… we touched down on the dub of Blackboard Jungle… which I only had on cassette for years…so-o-o-o scarce… and even now it still sounds amazing… back in the day it was like nothing you’d ever heard… could have come from another planet. Ha… Planet Scratch! Great article Brad. Being in Dublin I missed the pleasure of hunting down exclusive tunes. Not much of a Jamaican community in Ireland in the seventies! Got most of my vinyl on mail order from Rough Trade inc Abbyssinians, Culture and Keith Hudson. Definitely going to listen to ‘Flesh of My Flesh’ again over the weekend. Do you have any of those M and D mail-order lists still? – I remember them being many pages run off on the gestetner! what a way the internet has changed the world. I don’t think I have.. Lee might have some but I’ve seem him around for ages.. I suspect he might have gone back to jamaiac. I used to have Dub Vendor list somewhere… somewhere…. Thank you for this also! 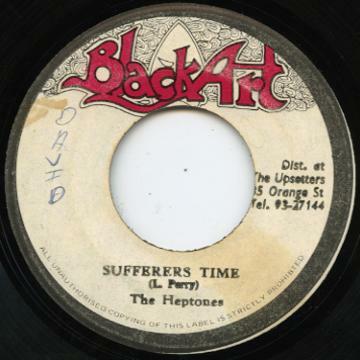 My main peak time reggae buying and grooving experience was in Manchester in the mid 70’s early 80’s and was a combination of promoting rock against racism events and deejaying reggae/punk/african music myself at some of these events I also organised a notable series involving young sounds from Manchester vs the cream of Leeds and Birmingham youth sounds . The key vendors were Duke Murray and Cas – the former was a pioneer of sounds in Manchester , the latter a key boss soundman of the day. I recall many an afternoon spent doing just the same as you – listening and sometimes buying or watching the sound guys (I was one of the very few females, let alone white people in the shacks) and spending many a time til way past daylight in the blues. I think I might add a bit to my own blog about reggae in Manchester – so much to tell – and also some more aspects of London stuff too – an inspiration Paul (If it’s any good in my eyes I will link you) … i m hoping someone documented it in the same way as the scene in Dalston was documented in the Four Aces film eg ..
Favourite stores in London apart from Dub vendor – such patient great guys there – include Reggae Revive – Kensal which may still be on line and Daddy Cool off Oxford Street – Peckings Studio one still runs in Shepherds bush tho not the same as it was – and also a shack in Shepherds bush market where you are sure to get all the low down on everything partywise still … enough bogarting of your space Paul – I am SO glad to have found your blog!!!! Brillilant – a highlight of my inbox!!!! Yeah great times, nice memories – thanks Paul!! 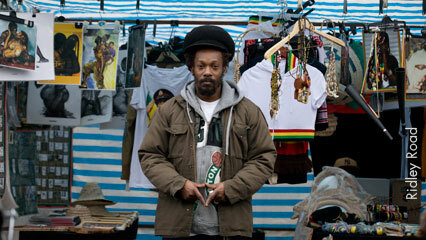 I didn’t get to London til 1980..there were tiny reggae shops all around. Stroud Green Road…Finsbury Park…you could get the pre’s all over the place….and…there was sooo much happening. We’d spend the day in and out of all the little shops looking for the toons… and persuading them to give up the whites under the counter…..volume !!! Hi Lyn… yeah,,, “:Finsbury Park doesn’t come to life till after dark..” awaoahhh… give me a bell.. let’s have a coffee or sumpn… a catch up! Great article, bringing back so many memories. A couple of weeks ago I visited the BME at O2 arena and many of the artists you write about were in a photo exhibition. The photographer Pogus Ceaser had assembled together (muzik kinda sweet), documenting artists he had met and photographed. An astonishing set of pics…thumbs up! I need to talk my good friend Jean Bernard Sohiez into doing a book of his pics… he did the classic shot of Coxsone Sound…(Festus & Blacker)…. I kind of adopted JB when he came to London so we traveled together… he’s got amazing stuff…. another wikkid photographer was Anna Arnone. How many years have you been running this weblog? It looks like you’ve got a nice webpage right here and I’ll be bookmarking you. I’ll possibly submit this write-up to Digg to ensure that my followers can examine it out as well. I am now not positive where you’re getting your information, however good topic. I needs to spend a while finding out much more or figuring out more. Thank you for great information I was looking for this info for my mission. Nice article Paul and takes me back to the late 70s when I would stop off at Lee’s to sample the latest studio one 7s he’d rumaged from Coxone’s shop in Kingston (High Charles anyone?). I moved to Manchester in ’79 and Murray’s Music City became my second home, at first located in a shack opposite Harp Larger and then on Princess Parkway in a swanky new shop aided by his son Errol. In Manchester I became aquainted with Murray’s spar President and his selector Benji – probably the biggest of the local sounds ahead of Baron and others that used to battle at the youth club under the Moss Side Centre. We swapped dub plates and I even got to help string-up the sound one evening, ahead of a battle with a London sound at the PSV club. Whilst in Manchester, I travelled on several ocassions and slept rough to see Johnny Osborne and the mighty Jah Shaka – first viewing 1980 at Acton Town Hall featuring sounds called Coxson, Alpha Omega plus one. My musical education moved-on to Studio One and when back in London by the mid 80s I was a regular with George in Askew Road. During the week I always knew that if the shop was shut he’d be in the bookies and I could fetch-him to open-up and play me some oldies. I can still hear his voice “Mark you now….” and his infectious laugh. Last time I saw Lee was in his new shop on Kingsland but that’s long gone – it would be good to know where he ended-up. Probably cussing the “political fuckery” and his Mrs who was holding-on to the last and most valuable shipment of Studio One when I last heard. Sounds like our paths must have crossed in London and possibly also Manchester. 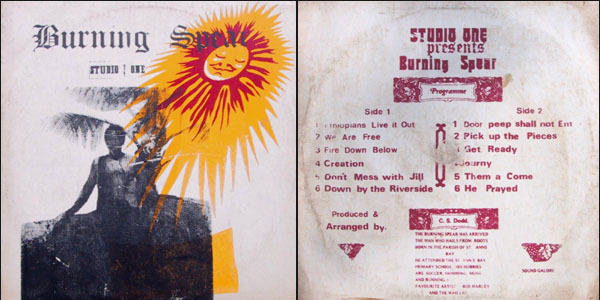 http://www.youtube.com/watch?v=7M-ShzSF1PU an artist on the Winro label, a Studio One offshoot. This was one of my last purchases from Leopold. I whiled many hours away in his shop whilst to or from my Grandmother’s in Dalston Lane. 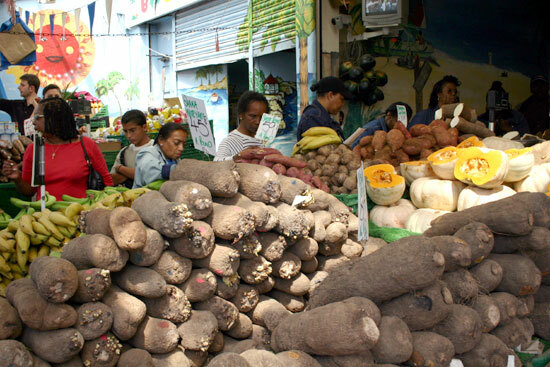 Ridley Road was a special treat in those days with a mixture of Yiddisher stall holders some of which my mother could remember from before the war; other cockneys, Jamaicans and Africans – forming a unique mix the like of which we’ll not see again. I got my first dub plate from Tim who used to mamange the shop for the Lee – remember him? and was fortunate enough to have the slate cut by the Hassels in Barns – the original acetate cutters who had given over the front room of their Edwardian terrace to an industrial acetate cutter. I believe they’d started cutting brass bans acetates and been discovered by the Sound Men back in the 1970s. I only made one visit when had to wait in the que behind Lloyd Coxsone’s son. Oh to have copies of the music that passed through their front door! Peckings is still on Askew Road although the shop has moved to a larger premesis at 81 Askew Road and it’s run by George’s son Chris “Mark you now!”. The sound I followed in Manchester was President Hi-Fi, Baron Hi-Fi was also a large sound from Moss Side and I can remember one other: Yabby U that I think came from Cheetam Hill (but I’m not sure). I wish I’d kept the Sound Clash flyers from those dances but alas they’re long gone. Hi, Paul, I live in the U.S. now, but remember visiting Prince Far I´s record store in Kingston in late 1978 when I was 19, went to Prince Buster´s too, I think. I was deeply impressed and very confused by the way they played records when you requested a listening: basically dj-ed and mixed guitars into front, etc, so I at least didn´t get the tunes at all. 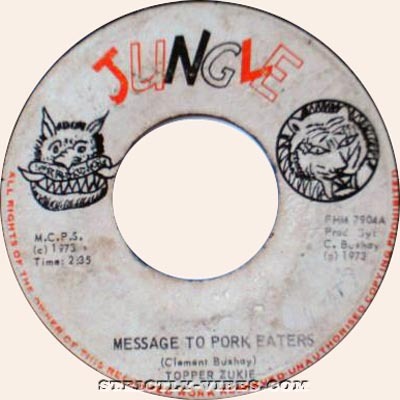 I have 2 questions that have driven me nuts for many years: a) is there an original vocal to Tapper Zukie´s “Message to Pork Eaters” (I saw him at the National Arena in Nov. 1978 and really love his “International” album that I brought home and still have) and ,b) when I was in Jamaica at that time they had a huge hit that went on about how the world would be if women would run it, ie change places with men. The singer talked about “Imagine…, man doing the dishes…” and “women cracking dirty jokes” and sitting in parliament. Do you have any idea who the singer was and what the name of the song is?? Gonna have to ask around about those two little queries! ‘Pork Eaters..” doesn’t sound like him chatting over someone else’s song… and the single I have has ‘Viego’ on the other side… not a version. I guess you are right on “Pork Eaters…”. I does sound like it´s been made in one piece. My name is Tony Bambury, played in the 4 Aces on Dnues Sound System from Brixton……..I sold the records in daddy Kool in Hanaway street, with keith, penny Reel and others, Played in the 100 club Oxford street reggae music. This artical is WICKED congratulations………..Respect !!!! 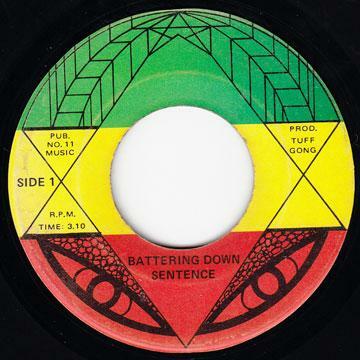 ‘Jah Man A Come’ by Delro Washington is the original cut of Tapper’s ‘Message’. Respect as ever to the man called Penny Reel…. thanks for that… it was that piece you penned for Pressure Drop which has ensured an enduring relationshiop with the tremendous early works of Tapper Zukie. I found “Jah Man A Come” by Delroy Washington on Ebay (via looking for the A-side of the single). It is great, but I think Tapper Zukie´s Message is a bit superior esp in the middle part, where Washington seems to run out of things to sing. penny reel!!!! litle ken here from conflict records, just been talking about you with jerry pick from all ears records in harlesden, how are you!!!!!! will read and re-read paul , great piece. my record shop times was birmingham from later 80s on. 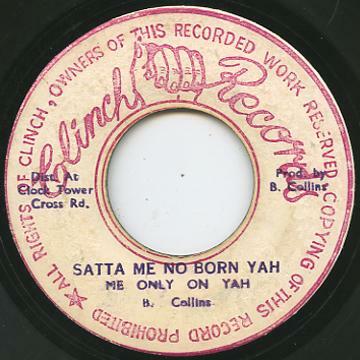 i signed on with don christie by the rag market in august 87 and recieved a schooling from the don – abyssinians, fred locks, spear, waling souls all unknown to me until then. it was wicked and packed on saturdays too and being a slightly overawed englishman at that time, getting to the counter was a struggle but don would always spot my strife and make a space for me. in quieter times he told me the origins of his business, i small place in sparkbrook supplied in part by the high commissioner for jamaica at that time who would bring the hot biscuits to the don in a large suitcase. obviously the place went to the dogs after don retired – to cornwall to run an ice cream business where he very sadly died of a heart attack only in his mid forties. from there it was to summit and the masterful winston gordon who gave me a doctorate education throughout the 90s across six different premises. being me, i completed the summit set with excursions to the coventry outlet run by the truculent everton and the wolverhampton branch run by the exuberent irie (i think). winston and i remain chums to this day but i went thrice weekly for ten years and that is a lot of learning and fair amount of music. otherwise in birmingham it was direct link winson green on occasions – the tunes where displayed as cakes in a bakery under a glass counter. didn’t get much further afield but attended a handy blues in a lozells road music shop not many yeas ago. the thing that today’s spotify yout dem can’t possibly appreicate was the sheer foot slog & subsequent reward involved then . i made repeat raids on peckings throughout the above years usually on the back on some spuriously created work meeting in town. hot footing it from old street to askew road in full executive battle dress, working out where Mr P might be with the shop locked but lit, hoiking him out of the bookies, having the run of the shop for a couple of hours then back to euston for the train to birmingham. or you could go on i tunes. Bloody Hell it’s been a long time since we met – 1978-79 on a trip south to score some sounds at Maroon’s Tunes and Daddy Kool (when some fucker nicked my prized leather jacket). 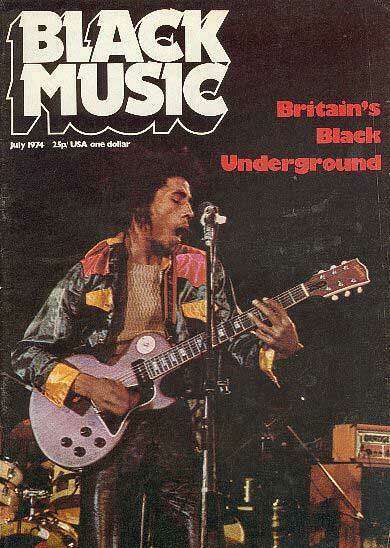 am i not right in sayimng I published some of your stuff in “Ital Rockers” back when all this was cooling lava? Greetings Douglas… yes Boss … long time… Ital Rockers was indeed home to some of my early scribblings… Prince far I … Morwells… how’s it going… what are you up to in these times? Seems like I am re-retreading the rootical pathways and working on a an installation/exhibition with my bredren Swifty – Word Sound & Power: Reggae Changed My Life. As the founder of your unique & groundbreaking publication I think it appropriate that I send you a little Q&A based on the said theme… I’ll mail you…. gonna build up a body of interviews with a whole bunch of people! Ahhhh… Maroons…. it vanished into the ether! “Chicken The Thunder storm” … was resident sound man in the 4 Aces late 60s. shelly’s top rival back in the day…g8 times.. This is such a fantastic blog, to be reading on a Thursday afternoon, whilst sat at my desk at work. It’s taken the mundane feel of the day from me for a short while. I can remember doing that walk from Dalston to Tottenham many many times when I was much, much younger, and also, and remember several of the shops in Stoke Newington such as Totem Records along with being able to find records in some of the Book Shops near by. Quite a few great ecord shops have come and gone, along with the whole feel of finding a tune, taking it home and playing it. Along with the finds you used to make, on your hunt, there was also the feel of meeting people and trading with them which doesn’t really exist now. The WorldWideWeb has been a killer of many businesses I agree, and it’s sad that when I talk to records collectors now, they don’t really know what it means to go out and finding tunes so early on in the day before any one else could get their hands on them. excellent article … proper juice!!! Their sound was called Destroyer,only small though. Later I spent time in m+ds myself but more at Regal,so nice to read and remember the pre crackhead days of 3 quid draw deals in a betting slip. Hi great article. Do you know where I can get backing tracks/instrumentals for lovers rock? Greetings Errol… nice story. I think people came from far and wide to M&D and Friday evenings in there were crazy packed… you really had to have your wits about you to make sure you didn’t get the familiar line from Lee of, “It done.” as he dealt the sevens out across the counter. He had a nice set in there.. the Tannoys were really good and the tweeters in the corners of the shop added the final touch. Plus Lee was a great selectah… I well remember John McGilvray of Dub Vendor being in the shop one day and after watching Lee at work jokingly said, “If you ever need a job you know where to come.” After the Dalston Lane shop closed Lee moved up the High Road to bigger shop but it was pure pressure financially and I think the Turkish landlord wanted him out. Lee always maintained the Turkish clubs and restaurants were money laundering outlets for the Turkish heroin trade. Besides, the Kingsland Road shop never had the vibe. Dalston Lane had that warm laid back record shack vibe… in fact I think when Jah Bunny, Floyd and Lennie opened the shop it was called Java Record Shack… good days… and I’ve never sold any of the single I bought there…. a mountain of good tunes! Brings back memories this! 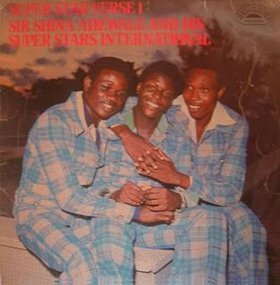 Before I got into the reggae, I and/or family members patronised Ska. 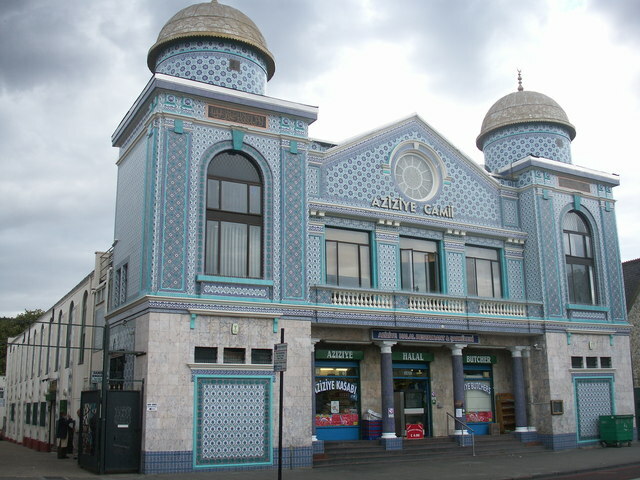 My father would take me to Stamford Hill, where there was a record shop owned by a white couple. It was here, that I saw young black guys stand and listen to each of the records played, and then eventually they would buy. When I got older, I would go to reggae records shop in West Green Rd, Broadwater Farm. There would be very few females hanging around listening then eventually buying; hustling with the owner over pre-releases but those were the days. Nowadays, I hardly know what is the latest hit. Great article. Thanks for the info but is it possible that Rita and Benny owned the shop that I went to in Stamford Hill? Would you have a photo of this place? Also, there was a record shop at the top end of West Green Road, can you remember the name of this shop?